People differ in their cultures and every culture lives through the medium of its own language. The Italian language is the language of a culture with a very ancient history. Within this culture were born the works and thoughts of philosophers, artists, painters, poets and writers. Italian is the language of Dante Alighieri and his Divine Comedy. It is the language of opera and Vivaldi. It is the poetry of Leopardi, the paintings of Caravaggio and Bernini sculptures. It is the cinematography of Fellini and Scola. It is the “Canto dell’amor perduto” of De Andrè. Italian is also a language exported all over the world by millions of Italian emigrants. Learning this language is a way for many to rediscover their origins. Learning a new language can be fun or a passionate pursuit. There are those who fall in love during a trip to Italy, who meet their soul-mate but do not know how to communicate. Others are interested in the language for reasons of work or for personal interest. We think that all these reasons are equally valid and with this website we want to support those who intend to learn Italian. 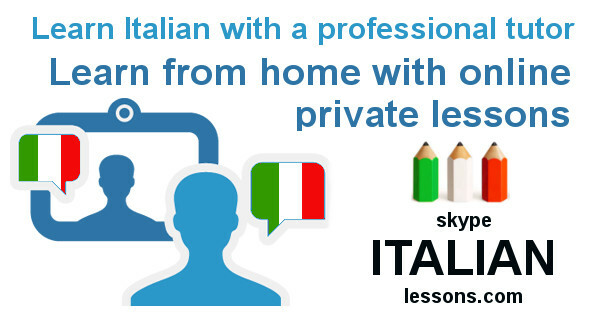 Easy Learn Italian is founded by a group of teachers who believe in the cultural and artistic wealth of their country, and want to export it in all its facets and hues.